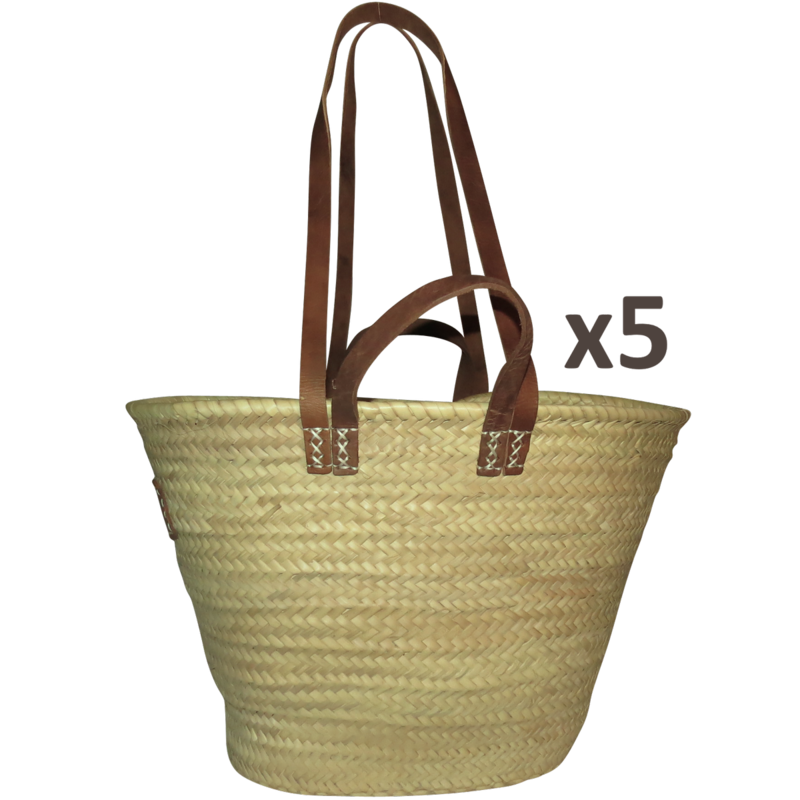 Warehouse Clearance - buy 5 x Imperfect Marketeer Double baskets for $95. This equates to $19 a basket. Imperfect baskets are just as durable and strong as our regular baskets, however they have a few slight imperfections. These could be a mark in the leather, a knot in the base, an uneven edge or an upside down label.